This Valentine's Day, February 14th, we celebrated our annual McCrea Family Volunteer Recognition Luncheon by saying "thank you" to our volunteers. We honored our volunteers of the year Karla Richey, Lion Alan Campbell and Lion Martin Murphy. 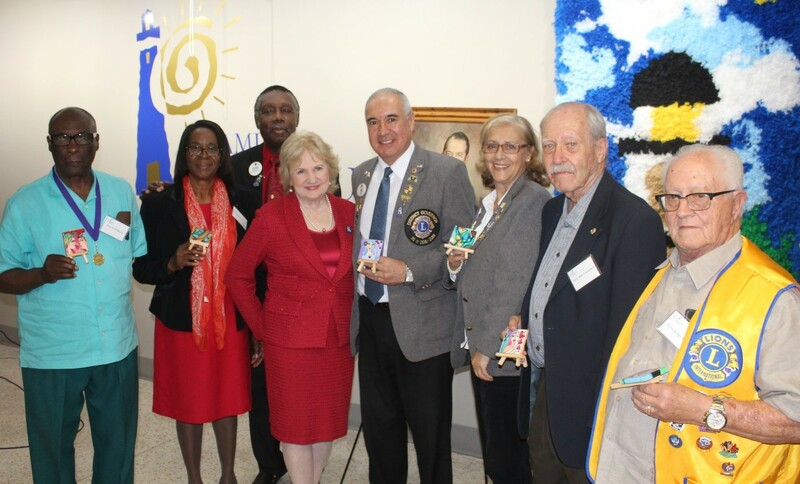 We also acknowledged District 35-N Lions Clubs and a special thank you to our Miami Lighthouse Board of Directors. Our guests and honorees were treated to beautiful musical tributes by our Miami Lighthouse Music Program musicians. A longstanding tradition at Miami Lighthouse, the event is made possible by the McCrea family – a family whose legacy of volunteerism with us began in our early days when Helen Sloan McCrea (1889-1978) devoted herself to the venerable mission of serving the blind. Thank you to the McCrea family for their continued support and to David B. McCrea for his continued sponsorship of the event. Honoree Lion Alan Campbell with CEO Virginia Jacko. 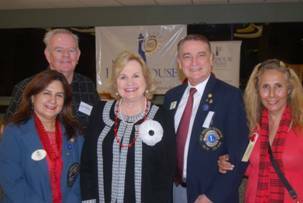 District Governor Elbio Gimenez and Rita Gimenez, Alan Campbell and Jorge Iglesias . 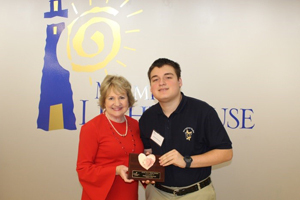 On February 14th, Miami Lighthouse celebrated our annual McCrea Family Volunteer Recognition Luncheon on Valentine's Day. 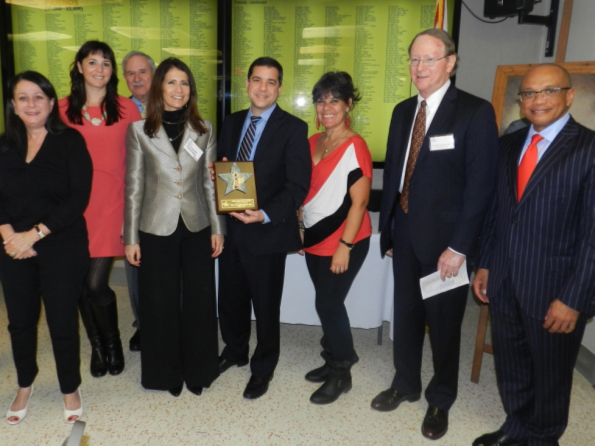 Honorees included Jorge Hernandez, President of Fenix Broadcast Corp, and Lion Maria Augusta Pusey. 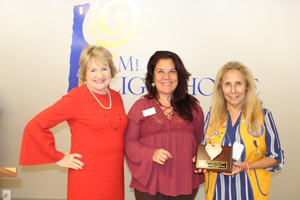 Also acknowledged for their tireless volunteer efforts were Alejandro Damian, Lions Clubs, Delta Gamma Beta Tau Chapter, with a special thank you to our Miami Lighthouse Board of Directors. Our guests and honorees were treated to beautiful musical tributes by our Miami Lighthouse Music Program musicians. Each year, the McCrea family honors the spirit of volunteerism by generously underwriting our annual volunteer recognition event so that those who dedicate themselves to crucial services to the blind may receive their due praise. Thank you to the McCrea family for their continued support. 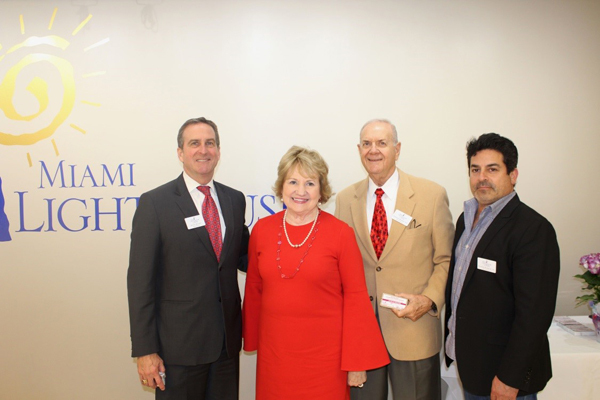 Miami Lighthouse Board Directors (left to right): Scott Richey, CEO Virginia Jacko, Dr. Stephen Morris and Alfred Karram, Jr.
CEO Virginia Jacko with Special Honoree Alejandro Damian. 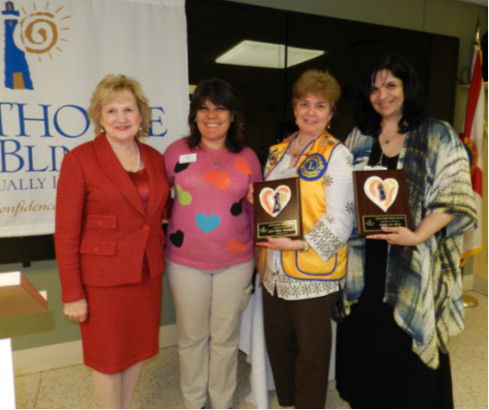 CEO Virginia Jacko, Nelba Gonzalez and Honoree Lion Maria Augusta Pusey. CEO Virginia Jacko with Eugenia McCrea. 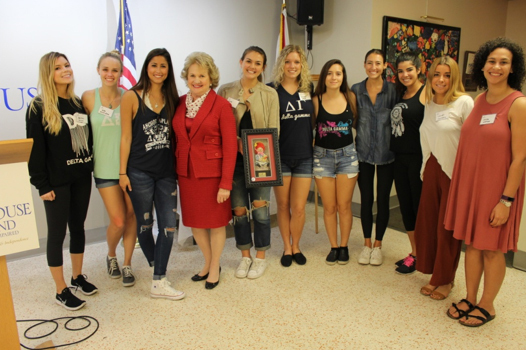 University of Miami Delta Gamma Sorority and CEO Virginia Jacko. On February 14th, Valentine's Day, at our annual McCrea Family Volunteer Recognition Luncheon we said "thank you," to our volunteers. 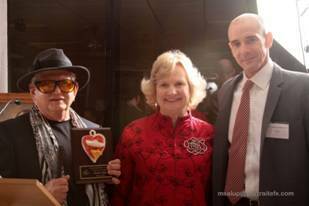 Honorees included Rita Stone, Karen Calderon, and Lion Fred Morris. 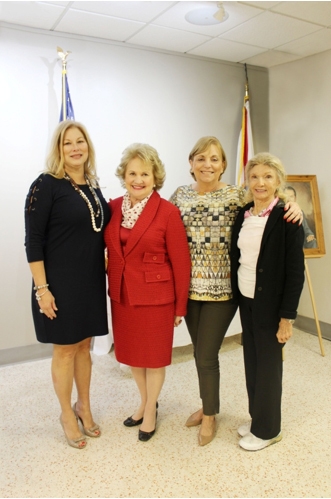 Also acknowledged at the lunch were the 85th Anniversary Gala Host Committee Members, Delta Gamma Beta Tau Chapter, and Miami Lions Club, with a special thank you to our Miami Lighthouse Board of Directors and Legal Counsel. Our guests and honorees were treated to beautiful musical tributes by our Miami Lighthouse Music Program musicians. A longstanding tradition at Miami Lighthouse, the event is made possible by the McCrea family – a family whose legacy of volunteerism with us began in our early days when Helen Sloan McCrea (1889-1978) devoted herself to the venerable mission of serving the blind. 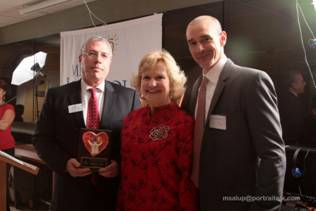 Each year, on Valentine's Day, the McCrea family honors the spirit of volunteerism by generously underwriting our annual volunteer recognition event so that those who dedicate themselves to crucial services to the blind may receive their due praise. Thank you to the McCrea family for their continued support and to David B. McCrea for his inspiring words he shared at the event about the spirit of volunteerism. 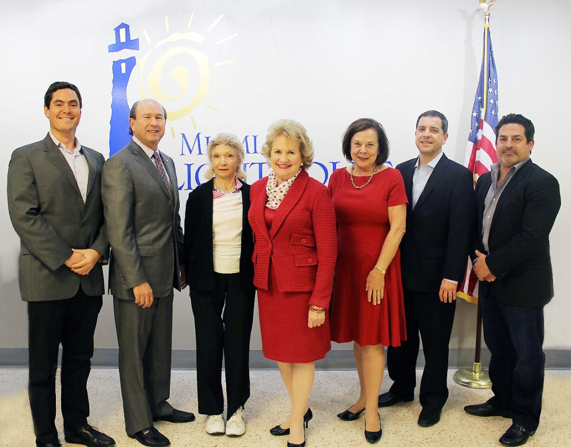 Miami Lighthouse Board Directors (left to right): Pablo Gonzalez, George Foyo, Angela Whitman, CEO Virginia Jacko, Honorary Board Director Audrey Ross, Legal Counsel René J. González-Llorens, Esq., and Alfred Karram Jr. Lion Juan Tejera and Lion Harry Magee Jr. In the spirit of Valentine's Day Miami Lighthouse took time to say, "Thank you," to our volunteers at our annual McCrea Family Volunteer Recognition Luncheon held on February 12th. 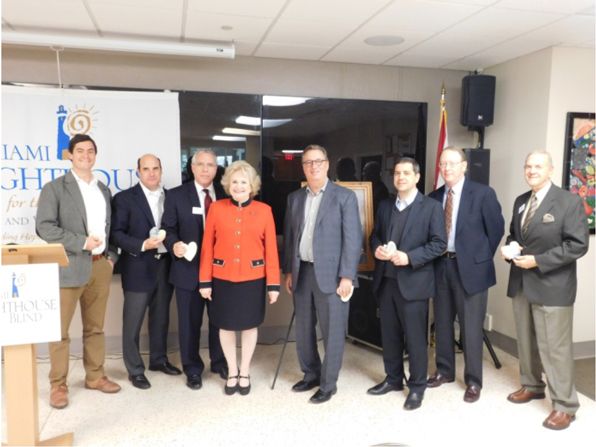 This year's honorees include American Express, AB&A Advertising, the Delta Gamma Beta Tau Chapter, and the Lions for the Blind, with a special thank you to our Miami Lighthouse Board of Directors and Legal Counsel. Our guests and honorees were treated to beautiful musical tributes by our Miami Lighthouse Better Chance Music Program musicians and singers Natalia Sulca and Dan Johnson, with two special violin solos by Sofia Causa-Dumay, a Transitions student. Honorary Director David B. McCrea, and Stephen Morris, O.D. The AB&A Advertising team with Chair Ray Casas and CEO Virginia Jacko. 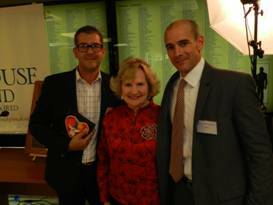 Lions for the Blind with Chair Ray Casas and CEO Virginia Jacko. Each year on Valentine’s Day, the McCrea family has honored the spirit of volunteerism by generously underwriting the luncheon so that those who dedicated themselves to providing crucial services to the blind may receive their due praise. 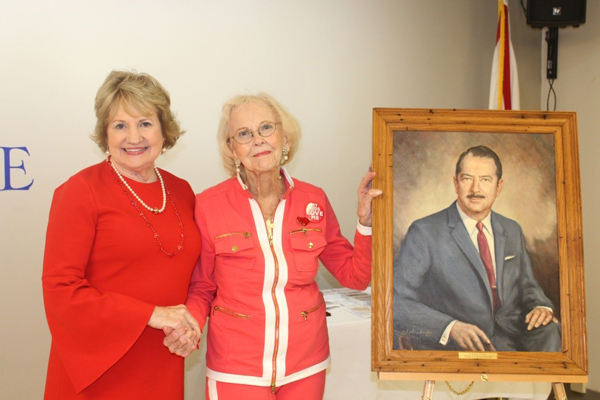 The Valentine luncheon this year recognized 2015 Volunteers of the Year Rene J. Gonzalez-Llorens, Esq., who serves as Miami Lighthouse Legal Counsel, and Paula Jacobs, a devoted Senior Group Health and Activities Program volunteer (SGA). Our Better Chance Music Production Program™ musicians serenaded the winners and guests with SGA client Dan Johnson bringing down the house with his vocal rendition of “Lady” by Lionel Richie. 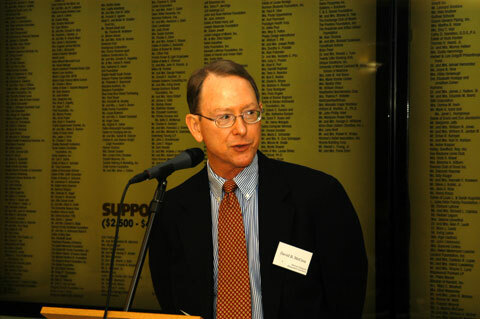 David McCrea, Esq. and Francois Henriquez II, Esq., Shutts & Bowen. 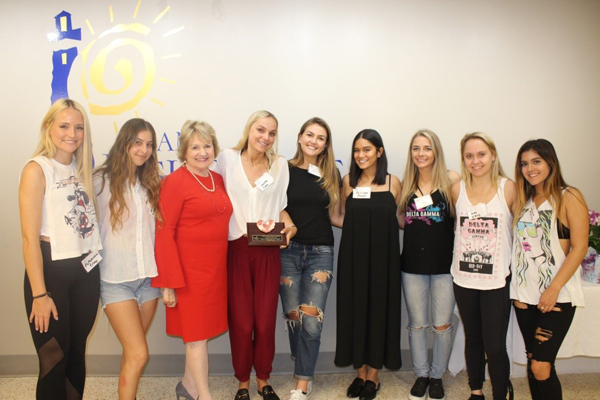 On Friday February 14th, Valentine’s Day, Miami Lighthouse held the annual McCrea Family Volunteer Recognition Luncheon, continuing a long tradition by recognizing our 2013 volunteers for their support and dedication to the organization. Every year Honorary Board Director David McCrea generously underwrites the volunteer recognition event so that those who dedicate themselves to crucial services to the blind may be recognized for their commitment and hard work. 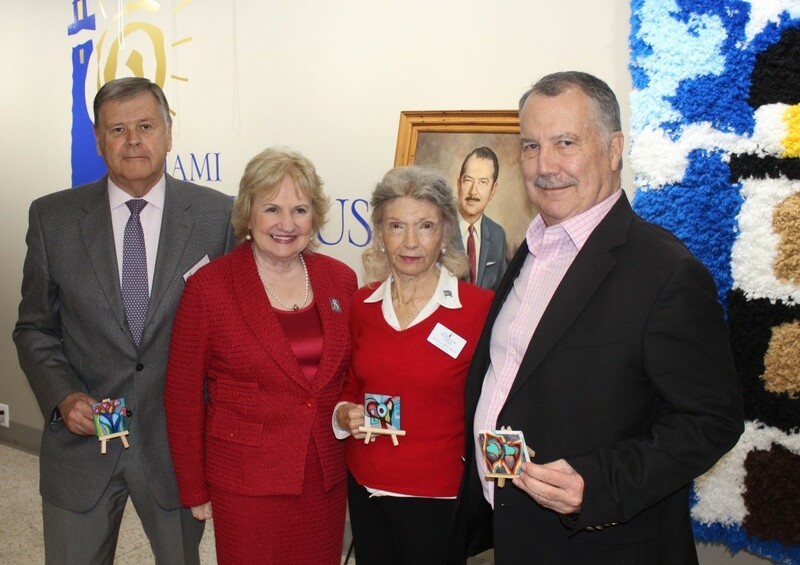 The lunch began with a welcome by President and CEO Virginia Jacko followed by Betty Tucker, a Miami Lighthouse volunteer, who recited the poem “Why be a Volunteer?” After enjoying lunch, Honorary Board Director David B. McCrea spoke to the guests about the spirit of volunteerism. 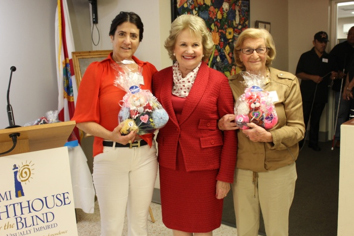 The honorees at this year’s event were Edith La Riva, Lion Dilma Rodrigues, Susie Wahab and Miami Lighthouse Board of Directors. David B. McCrea was also recognized in appreciation of his and his family’s continuing support. 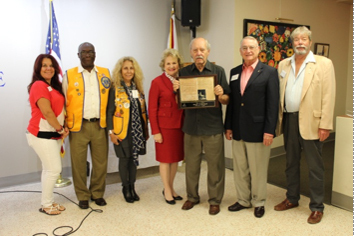 The program concluded with Lion Alan Campbell presenting a check to Miami Lighthouse on behalf of the Lions for the Blind. We are deeply grateful to all volunteers and supporters who dedicate their volunteer efforts to Miami Lighthouse and its mission. 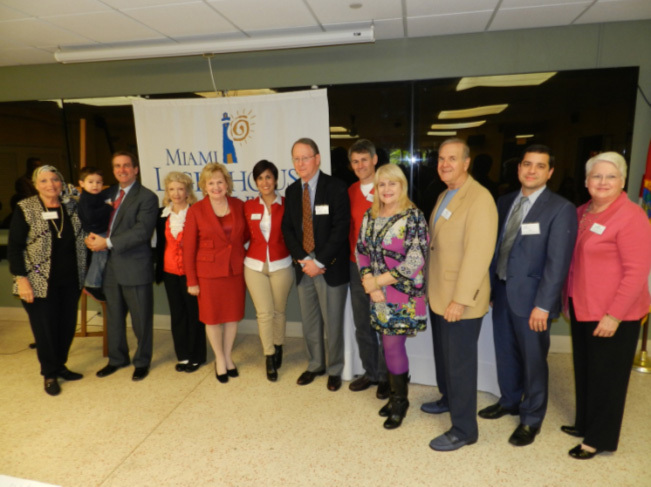 Miami Lighthouse Board Directors (from left to right): Gloria Martin, Scott Richey and son, Angela Whitman, CEO Virginia Jacko, Carmen Perez-Blanco, Hopnorary Director David McCrea, Steven Solomon, Deborah Montilla, Stephen Morris, Legal Counsel Rene Gonzalez-Llorens and Anne Helliwell. President & CEO Virginia Jacko and Honorary Board Director David B. McCrea. 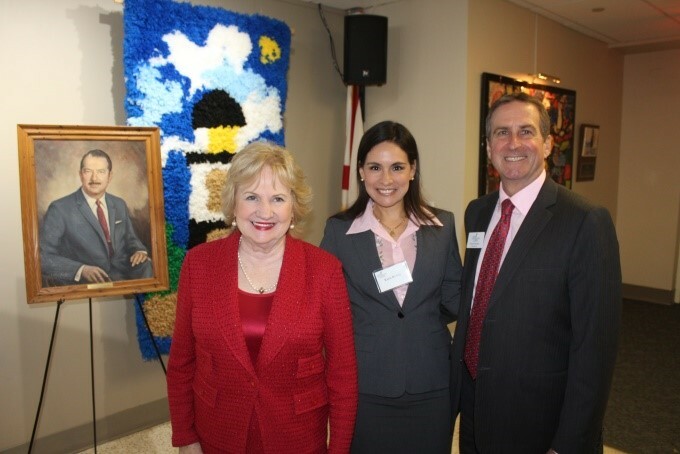 President & CEO Virginia Jacko, Coordinator of Arts & Crafts Nelbra Gonzalez and Honoree Susie Wahab. 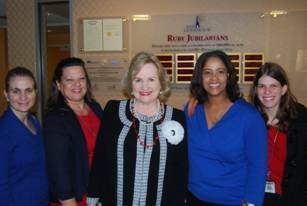 President & CEO Virginia Jacko, Coordinator of Arts & Crafts Nelbra Gonzalez, Honoree Lion Dilma Rodrigues and Honoree Edith La Riva. 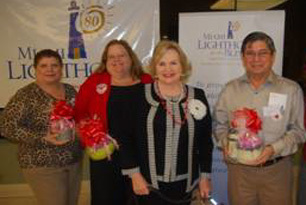 On Thursday February 14th, Valentine’s Day, Miami Lighthouse continued a long tradition by recognizing its 2012 client donors and other volunteers for their support and dedication to the organization at the annual McCrea Family Volunteer Luncheon. Every year Honorary Board Director David McCrea generously underwrites the annual volunteer recognition event so that those who dedicate themselves to crucial services to the blind may receive their due praise. Chairman of the Board of Directors, Agustin Arellano Jr., gave welcome remarks followed by Miami Lighthouse Instructor Oseas de Leon reciting a Valentine’s poem by Elizabeth Barrett Browning. 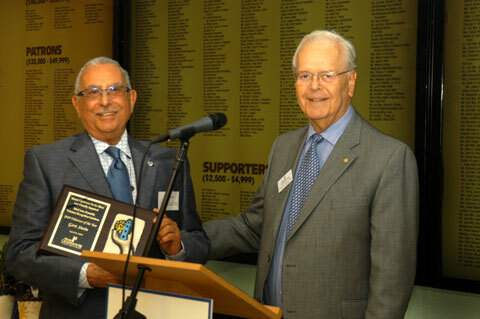 Honorees at this year’s event were Cesar Giral, M.D., Honorary Board Director Ray Casas and Hebert Klein. 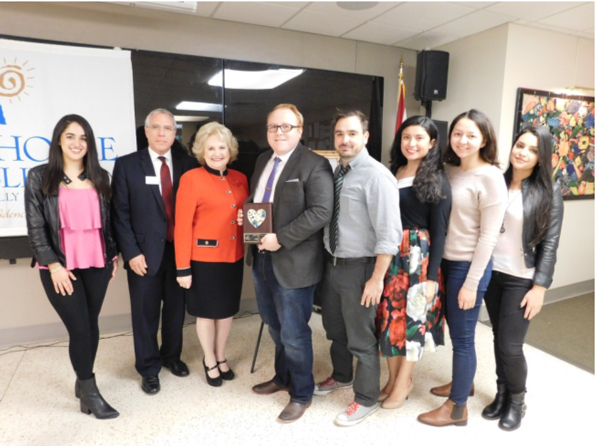 Other participants included District Governor Juan Tejera and other members of the Lions leadership and Lauren Firtel representing the University of Miami Delta Gamma sorority. Tenor Michael Tota concluded the lunch with two wonderful songs and our deepest appreciation goes to all volunteers and supporters who have gone above and beyond the call of duty to support Miami Lighthouse programming. Photos courtesy of Marcelo Salup. Chairman of the Board Agustin Arellano Jr.
On Tuesday February 14th, Valentine’s Day, Miami Lighthouse continued a long tradition by recognizing its 2011 client donors and other volunteers for their support and dedication to the organization at the annual McCrea Family Volunteer Luncheon. The McCrea family began its legacy of Miami Lighthouse volunteerism in the 1930’s when Helen Sloan McCrea devoted herself to the mission of serving the blind. Tenor Raymundo Antomarchi sang "Nessun Dorma,” the famous tenor aria from Puccini's Turandot, as a vocal tribute to the Board of Directors. 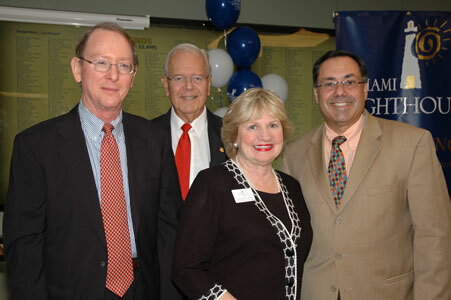 Hugo Meneses and Myra Diaz, Luz Rosenfeld and Charles Dunn were recognized as the top three 2011 grateful client donors. 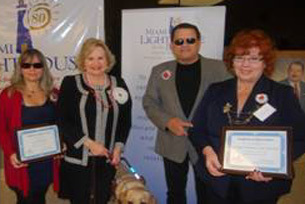 Other individuals who believe in and support the mission of Miami Lighthouse received special recognition: Hector Patino, Lenor Ryan from the Shops at Midtown Miami, Maria Perez from Essilor Laboratories of America, Karina Barrera and Marcella Gutierrez from Opa Locka Hialeah Flea Market and volunteers from Delta Gamma Sorority. Other participants included District Governor Diana Castillo and other members of the Lions leadership and Michelle Levy, District Administrator, Division of Blind Services. Our deep appreciation goes to all volunteers and supporters who have gone above and beyond the call of duty, especially to the McCrea family. Every year Honorary Board Director David McCrea generously underwrites the annual volunteer recognition event so that those who dedicate themselves to crucial services to the blind may receive their due praise. 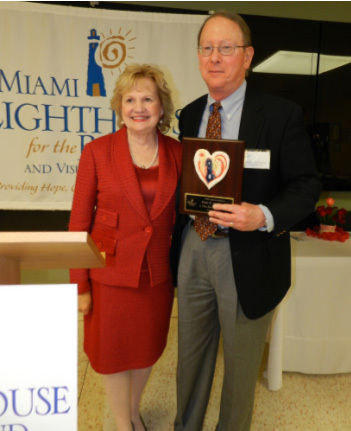 On Monday February 14th, Valentine’s Day, Miami Lighthouse showed its love by honoring the Board of Directors and its many volunteers for their support and dedication to the organization, giving special recognition to the McCrea Family Foundation for their legacy of volunteerism and generosity. Every year the McCrea Family generously underwrites the annual volunteer recognition event so that those who dedicate themselves to crucial services to the blind may receive their due praise. 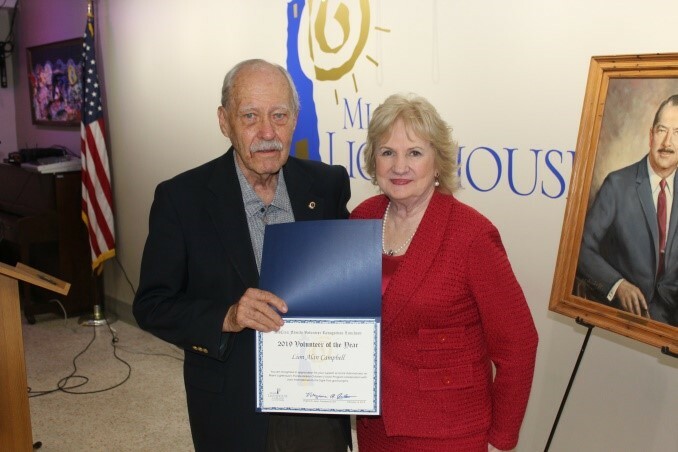 This year’s Volunteer of the Year Award recipient was Lion Alan Campbell and all Lions who are committed to the mission of Miami Lighthouse. A native of Wisconsin, Mr. Campbell came to Miami in 1984 and founded Camco Cable Service, the oldest and largest private cable company in Florida, which he continues to actively manage. 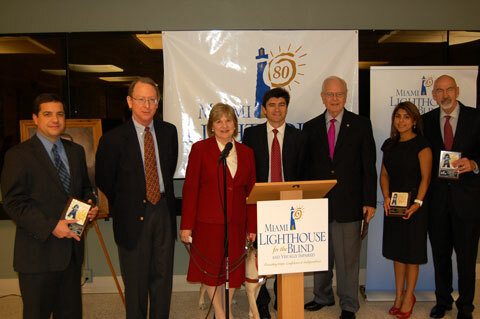 With the closing for the Lions Home for the Blind in 2006, Lion Campbell was the catalyst for thirty of their program participants to join Miami Lighthouse. Through the Lions, he continues to solicit funds for participants in our Social Group Activities Program. 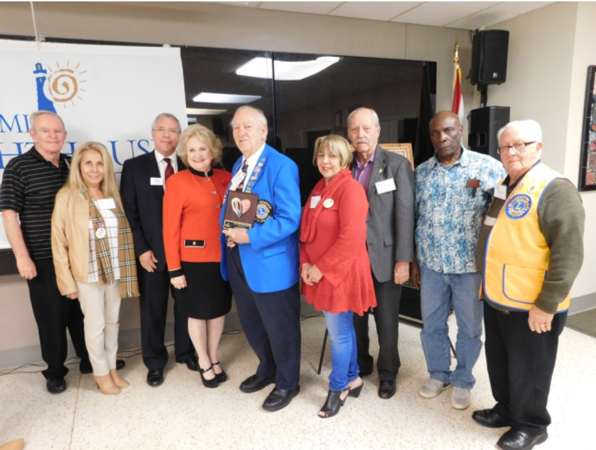 A member of Lions Club International for 40 years, today he serves as Vice-President of the Coral Gables Lions Club and Secretary-Treasurer of Lions for the Blind. Our deep appreciation goes to all volunteers who have gone above and beyond the call of duty, especially to the McCrea family. Rene Gonzalez-Llorens, David McCrea, Virginia Jacko, Michael Silva, Owen Freed, Rosa Rivera, Charles Nielson. 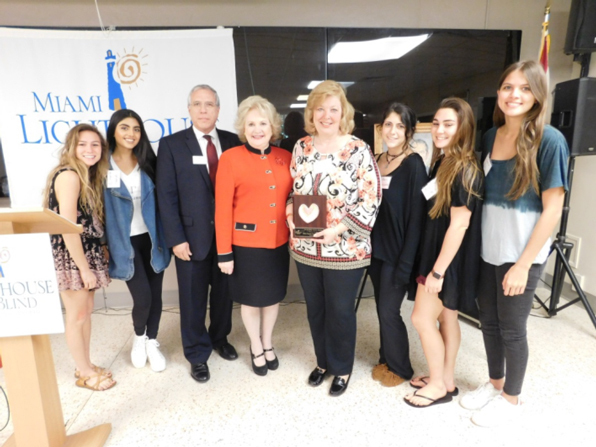 On April 8th, Miami Lighthouse honored the Board of Directors and its many volunteers for their support and dedication to the organization, giving special recognition to the McCrea Family Foundation for their legacy of volunteerism and generosity. Every year the McCrea Family generously underwrites the annual volunteer recognition event so that those who dedicate themselves to crucial services to the blind may receive their due praise. This year’s Volunteer of the Year Award recipient was Gert Stein. A native of New York, Mr. Stein was first introduced to the Miami Lighthouse by his mother, a former vision rehabilitation client. 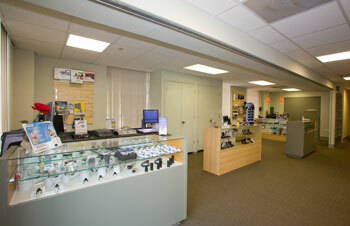 In January 2009, Mr. Stein followed his mother’s footsteps and became a client at the Miami Lighthouse. He graduated from the program five months later and became a dedicated volunteer primarily in Arts and Crafts and the Solutions Store. He then became an active member of the White Cane Day Committee for which he raised many donations. Our deep appreciation goes to all volunteers who have gone above and beyond the call of duty, especially to the McCrea family. Gert Stein is presented Volunteer of the Year Award by Chairman Owen Freed. 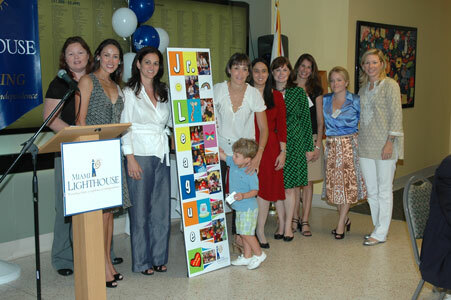 On April 2nd, The Junior League of Miami was honored as “Volunteers of the Year” at the 2009 McCrea Family Volunteer Recognition Luncheon. 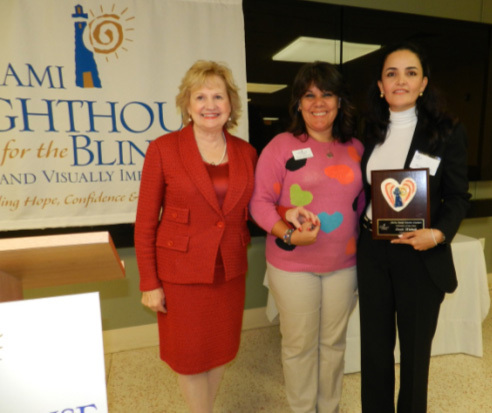 The Miami Lighthouse for the Blind and Visually Impaired "Little Lighthouse,” a popular community project, has benefitted for nearly three years from the Junior League volunteers’ facilitation of playgroups and participation in activities meant to further develop the skills of the children and parents in the Blind Babies Program. League volunteers also provide social support through weekly sessions with blind and visually impaired children. Health Foundation of South Florida President and CEO. 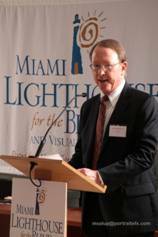 as 2009 Miami Lighthouse Volunteers of the Year.